The National Weather Service has issued a wind advisory until 4 p.m. this afternoon, Wednesday, Nov. 28. A Wind Advisory means that winds of 45 to 55 mph are expected. Winds this strong can make driving difficult, especially for high profile vehicles. The weather service reports westerly winds from 25-35 mph with gusts of 50-55 mph possible. These strong winds may blow down tree limbs, trees and power lines; scattered power outages are expected. If you experience either downed trees or power lines, NewsCenter has details about who to contact. The Fire and Rescue blog has some great tips about downed power lines, what you should know and what you should do in case you encounter any downed electrical lines. And please remember, if your power goes out this evening, please use battery powered lighting and not candles. It was a rough weekend across Fairfax County due to the dangerous, sustained winds that we had to deal with. We realize that the event isn’t over yet for the several thousand county residents without power this morning, or for those who have had their power restored but are dealing with downed trees, debris and other issues caused by the storm. As we try to get our lives back to normal, here’s a quick look at six things you might need to be aware of today as you deal with the aftermath of the weekend’s wind storm. Debris clean-up is a shared responsibility between private property owners, waste haulers and Fairfax County. Information on disposing of yard debris is available here. Please use caution when driving near the trucks picking up debris and Slow Down to Get Around. Slow down to 10 mph below limit and provide two-foot berth around stopped collection vehicles. Watch this video. A reminder that you cannot burn debris and yard waste in our county – this is to prevent the spread of fire and to protect air quality. For Dominion Energy, call 1-866-366-4357 or report it online at www.dom.com/outage-center. For NOVEC, call 1-888-335-050 or report it online at www.novec.com/stormcenter. Martha Washington Library remains closed today due to lack of power, but all other library branches have opened on time. If you need to have tree work done, please review this information about hiring contractors and avoiding “woodchuckers” scams. If you have damage to your house, be sure to hire a licensed contractor. Tips on what to look for and working with your insurance company. If your power was out for an extended period you’ll want to assess whether the food in your refrigerator or freezer is still safe to consume. We don’t know when the next emergency or storm will impact us – it could be next week or years away. 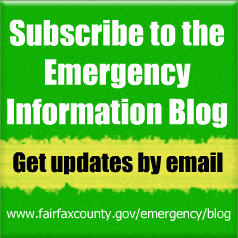 Make sure you are informed and get the latest emergency information, subscribe to Fairfax Alerts. ecovery operations continue today from the damaging wind storm across the county and the region. As of 9 a.m. this morning, there were still over 33,000 power outages in Fairfax County, affecting some traffic signals, as well as county and school facilities. Schools – Activities scheduled in Fairfax County public schools or on school grounds are canceled today, Sunday, March 4. 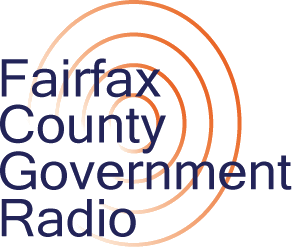 Parks and Recreation – All Park Authority programs at Fairfax County Public School locations are canceled for Sunday, March 4. South Run RECEnter will open today at noon. Spring Hill RECenter remains closed due to power outages. The gates at Lake Accotink Park and Burke Lake Park are closed to vehicular traffic but the parks are open. Riverbend Park and Ellanor C Lawrence are both without power. Clemyjontri Park is open but bathrooms are closed. The Park Authority continues to evaluate other sites and we encourage you to call the facility before going. To report a downed tree in the parks, visit www.fairfaxcounty.gov/parks/tree-removal. Libraries (Updated at 10:25 a.m) – The Chantilly Regional Library remains closed today due to a lack of power. All other regional library branches will open as scheduled at 1 p.m. If you are without power, please report it. Stay away from downed wires as they may be live with electricity. Today it will be sunny with a high near 48. North winds 16 to 18 mph, with gusts as high as 30 mph. Tonight, clear, with a low around 27. North winds around 14 mph, with gusts as high as 22 mph. Then on Monday, it will be sunny with a high near 45. North winds 10 to 14 mph, with gusts as high as 22 mph. More on the forecast. High winds continue across our region, with gusts commonly between 40 and 60 mph over land, and 40 to 60 knots over water. A High Wind Warning remains in effect for most of our area until 6 a.m. Saturday. The National Weather Service says this “is a prolonged, high-impact windstorm” for the region. The duration of the winds will add to the hazardous nature of this event. While gusts will slowly diminish in intensity this weekend, they will remain around 40 mph Saturday. This will hamper the repair of power lines and tree removal. Travel is dangerous on the roads, especially for high profile vehicles. Be aware of rapidly changing road conditions due to the potential of downed trees and power lines. Pedestrians will also face very hazardous conditions, and need to be aware of wind-borne projectiles. People should avoid being outside. If possible, remain in the lower levels of your homes during the windstorm and avoid windows. The National Weather Service has reported wind gusts over 50 mph for over 12 hours straight at Dulles and the wind storm continues to impact our county. We have up to 100 traffic lights out and more than 100,000 customers are without power. Do not call 9-1-1 if you lose power. If you have a power outage, contact Dominion Power, 1-866-366-4357; www.dom.com/outage-center or NOVEC, 1-888-335-0500; www.novec.com/stormcenter. Call 9-1-1 for emergencies only; call 703-691-2131 for non-emergencies. Please use battery powered lighting and not candles! Take safety precautions if using a generator. Follow the directions supplied with the generator. Every year, people die in incidents related to portable generator use – never use a generator indoors. An electrical power outage will affect the safe storage of refrigerated and frozen foods. Perishable foods such as meat, poultry, seafood, milk and eggs that are not properly refrigerated or stored, and frozen food that thaws, may cause illness if consumed. Read more about precautions you should take. If your neighborhood has lost power, please check on elderly and neighbors with disabilities. Please avoid going out on the roads if you can tonight. There are many traffic lights that are out and downed trees and power lines in our neighborhoods. Driving will become more difficult in the dark. If a traffic light is out, it must be treated as a 4-way stop, unless a police officer is directing traffic. If you must venture out, be prepared for road closures. You can find the latest list of road issues here from our police department: https://fcpdnews.wordpress.com/2018/03/02/wind-storm-impacts-multiple-roadways-around-fairfax-county, as well as an online map of county road hazards and closures at http://fairfaxcountygis.maps.arcgis.com/apps/webappviewer/index.html?id=e5ec7a2d584b46a9be4a18a5440d1938. You can also sign up for Fairfax Alerts and get the latest road closures sent to you by text or email: www.fairfaxcounty.gov/alerts.